You will definitely stay warm with this woven scarf from Ruffneck. 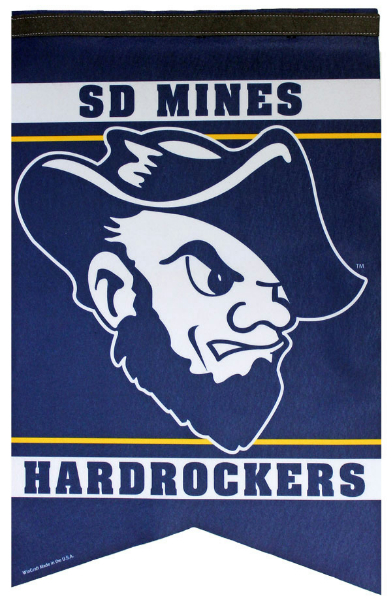 Once side of this navy blue scarf reads “SD Mines” with the old “SMD” logo on either end with white and gold stripes crisscrossing. The other side of this scarf reads “Hardrockers” with Grubby the Miner on either end of the scarf and crisscrossed white and gold stripes.